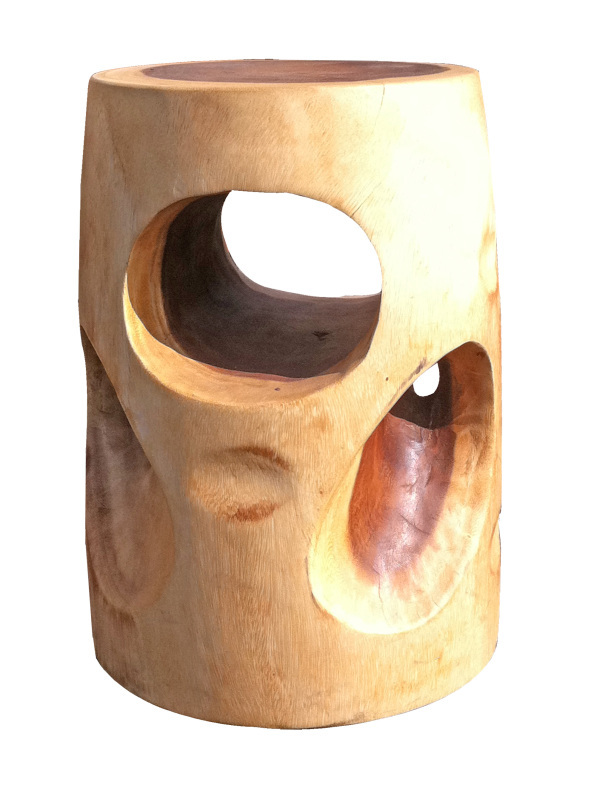 Asian Art Imports Cheese Stool is a carved from a single piece of acacia wood. 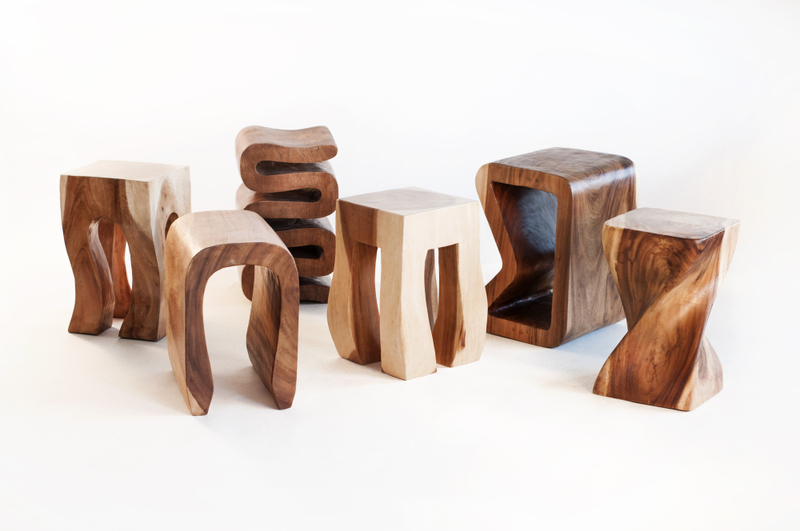 It's a sturdy natural wood stool that can double as an end or occasional table. Each piece varies in wood tone. It measures 12 x 12 x 18" tall. W 12" / D 12" / H 18" / 36 lb.